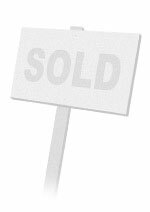 Tuscola County, Michigan Real Estate-J. McLeod Realty, Caro & Millington. The licensed Real Estate professionals at J. McLeod Realty, Inc. believe in the fundamental right of home ownership. To that end, we promise each client our continued commitment to honesty, integrity, and professional business excellence. Serving the Real Estate needs of “Michigan” since 1969. On behalf of J. McLeod Realty, Inc., you can expect a warm, friendly greeting by any member of our professional staff. As one of Michigan's leading Real Estate companies, J. McLeod Realty Inc., continually strives to stay on top of the Real Estate industry while maintaining that down-home hospitality. It is our company philosophy that if we treat the client with respect, courtesy, and fairness we will gain that client as well as that client's friends and family for life. Working with J. McLeod Realty, Inc., is like working with caring family and friends. We anxiously await the opportunity to serve you in all your Real Estate needs.